Is it possible to develop diversified, sustainable agriculture in cities? Will Allen believes that it is. In 1995 he founded Growing Power, Inc., based on his innovative ideas about growing food in urban centers. Today, this Milwaukee-based organization employs a staff of 65 and is involved in more than 70 urban agriculture initiatives, including 15 Regional Outreach Training Centers throughout the United States, and a number of international projects devoted to practicing and teaching integrated urban agriculture. This pioneering work in urban food development earned Allen the MacArthur Foundation “Genius Grant” in 2008, and in 2010 he was named one the world’s 100 most influential people by Time Magazine. The son of a sharecropper, Allen played professional basketball and pursued a career in corporate sales and marketing before returning to farming in 1993. His autobiography, The Good Food Revolution: Growing Healthy Food, People, and Communities, was published in 2012 to great acclaim. For this interview he visited with environmental anthropologist Rob Efird of Seattle University. Rob Efird: In The Good Food Revolution, you write that, “Equal access to healthy, affordable food should be a civil right, every bit as important as access to clean water or the right to vote.” What do you mean? Will Allen: We have a food system today that just doesn’t give people access to healthy food. You could go into so many communities that are “food insecure,” and in these communities you have poor quality food that leads to early death. So if people continue to eat bad food in these communities, there’s not a way out of poverty. If people are hungry, when people are under stress, when people are sick, there’s no way they can build healthy communities. So it really starts with healthy food. What we’re doing as an organization is making sure that we come up with strategies that lead to getting food to everybody in the community, regardless of their economic situation. RE: How does that work? 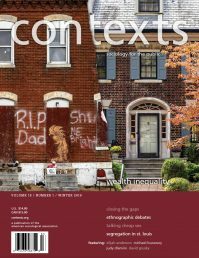 WA: We’re not only educating people who are food insecure to take responsibility for their own health: we also have to educate the power brokers in the community—whether they’re corporate companies or politicos, or universities, a lot of top-down operators—to get them at the table. Because we need them. A lot of social justice is wrapped around policies that different communities have, and the fact is, if you go from community to community, there are different policies. And many of them really are against some of the things that we’re doing. The only way to change that is with concrete examples of what a good food system looks like. So part of our work at Growing Power is to prove that you can grow enough food to feed X amount of people and to really quantify a lot of the things that we’ve developed. RE: You’ve mentioned the importance of first lady Michelle Obama’s personal example, and the significance of her “Let’s Move” campaign and the White House garden in getting people to think differently about urban agriculture; but you’re saying we also need policy changes at the local or national level to ensure food justice? WA: Absolutely. And we’re starting to see that happen, as urban agriculture has become one of the fastest growing, if not the fastest growing, piece of agriculture in this country. One of the basic policies is to be able to farm in all three or four (or whatever they have) zoning areas of a city. For example, in Milwaukee, we can grow food in any zoning area, whether it’s residential, commercial, or industrial. In an industrial area, you might have vacant buildings, and you may have large parking lots where you could put up hoop houses on top of asphalt and use the inside of the building to build fish systems. So you can have this kind of integrated food system in an old building that may have been sitting there for 10, 15 years. Those buildings are all over the country now. A lot of foreclosures not only on homes, but on businesses, have happened in the last several years. But in some cities you can’t grow on industrial property. So, if you can get that changed, then you’d be able to grow. RE: That makes a lot of sense. WA: You take commercial zoning and do the same thing. And some cities have no policies at all, so they have to develop policies. People are farming, but they’re kinda doing it illegally. The other piece is to have permitting. If you’re gonna put up a hoop house, you want to make sure that those hoop houses are structurally sound, so in Milwaukee, you have to get a permit. Doesn’t cost you anything, but the city uses our schematic that we’ve developed over the years. Anybody wants to put up a hoop house has to present a schematic that we developed to be able to get a permit to put up a hoop house or a green house. And we’ve got it approved for school properties. That opens up a lot of possibilities for folks to grow food. Because that’s a secure area. Usually schools are very secure. And closed school properties: our headquarters is on 55th and Silver Spring, and this school was closed for five years, and now we have 25 hoop houses growing food year-round on that old school property. It opens up all kinds of possibilities. RE: What about policies at the national level? WA: Probably one of the biggest challenges we have is we don’t have enough farmers. We have to grow some farmers! If you look at the farm bill, it has some language in there for training farmers. So we need to take some of those subsidy dollars and put it into training farmers. We know the industrial farm system is reducing the number of farmers, because they use a lot of technology. So we need to be able to grow jobs. And there are so many jobs in a new food system. I mean, you think about it, it’s not just putting a plant in the ground, we need to have folks who are engineers, renewable energy people, truck drivers—there are hundreds of different jobs that are connected to the food system. So from an economic development perspective inside cities this could be an economic engine, if we’re able to grow more food in and close to cities versus out in rural communities. RE: You just mentioned the need to grow a new generation of farmers. How do you see this happening, particularly among urban youth? WA: We started as a youth-serving organization. And there are thousands of youth-serving organizations around the country that are doing similar things. Not that they’re cranking up a lot of production, but at schools and nonprofits they’re teaching kids who live in high-rises and apartments, kids who would never have contact with Mother Earth, to be able to understand where their food comes from. And to taste what natural food tastes like, grown without chemicals and grown in good soil. One of the things that we did last year is put in 50 daycare gardens. We think of K-12, putting gardens in schools, but we really need to start with the preschoolers. So many kids, especially in food desert areas, because their parents have to work two or three jobs, their primary meal is at school or in after school programs. So it’s important for us to put these gardens in and let these kids take a taste of even what a cherry tomato tastes like grown in healthy soil. RE: How do kids respond to that? WA: Kids are very interested in touching the soil and getting involved and growing stuff and tasting it, creating meals and learning how to cook at that age. Because, a lot of times, it’s not happening at home. Every person in America’s family was connected to farming, if you look back generations. But we’ve had a disconnect, because the last few generations that hasn’t been passed on. So now we have this big, long gap where people really don’t know where their food comes from. They’re dependent on what we tell ‘em via the media, and companies that talk about their food as though it’s wonderful for us. People don’t make their own choices. So that’s an important piece that we try to bring to schools and to young people, is to really think about— every time you sit down to eat—think about where that food came from! Think about whether that food is nutritious. RE: You write that “urban agriculture is not yet reliably profitable.” What’s needed to make it economically viable without outside funding? WA: One of the things is production. We have very little production, so we need to scale it up so that it becomes cost effective. And we need to come up with more strategies to reduce the production costs. All of that is really around training folks how to grow food in a different kind of way, inside cities. You need to look at agriculture in terms of square footage instead of in terms of hectares or acres. How efficient can you become in growing in a square foot? Our goal is to grow food at $5 a square foot in a year, minimum. Some things, like sprouts, you can get up to $50 a square foot, which equates to a million dollars an acre. And at $5 a square foot, you’re talking $200,000 an acre, whereas the average row-crop farmer in America probably makes $500 an acre. We don’t have the kind of land you have out in the far rural areas, so you have to be able to maximize the space that you have in the cities. Some cities have a lot of land, and some cities don’t have that much land, but even a city like New York, where you’d look and say, “Wow, there’s no vacant land,” there’s still 10,000 acres of vacant land on the ground, and there’s 6,000 acres of rooftops. And there’s the vertical farm concept: we’re working to build the first vertical farm in the world, to be able to grow food with greenhouses on multiple floors. That’s another long-term possibility as we look into the future. RE: One of the many eye-opening aspects of your book is your description of the long tradition of African American farming and agricultural expertise in this country. You mention the great educator and agricultural scientist George Washington Carver as a personal inspiration to you. For people who are interested in urban agriculture today, what are the lessons of this history? WA: George Washington Carver was a genius. He had such deep passion for being inventive: many people don’t know he developed much of the cultivating equipment that large-scale farmers are using today. He worked with Henry Ford, who was also a farmer. I think it would be fascinating for young people to get educated about the fact that 20 percent of our farmers were African American back in the ‘20s and ‘30s, and now we’re down to less than 1 percent. WA: African American folks from slavery were involved in agriculture through Reconstruction and share-cropping. When my father came from South Carolina to Maryland leaving share-cropping behind, he had all this agricultural knowledge. Most of the people in the Great Migration who came from the South for these industrial jobs, one of the things that happened is that we left our agricultural roots behind. Because it was such a negative thing, when you think about slavery and share-cropping, where sharecroppers got the short end of the stick and couldn’t make a good living. That’s part of the history that young people—all people—need to understand and that’s why [The Good Food Revolution] was really about my family’s journey. Which could have been any African American family’s journey that paralleled ours. RE: So few families farm in the U.S. now. WA: I think the biggest problem is that break. Everybody’s family was involved in farming. When that got broken, the food system got broken. If we would have been able to pass on all those ways of growing food, whether you were Irish or whether you were Italian or African American, Latino, it didn’t matter. If you were able to continue that history, then you know, things would be much different. So now we have to fix it. We have to fix these problems by going back, getting people inspired so that they become passionate about their food and understanding their food, connect it to economic development, connect it to health. 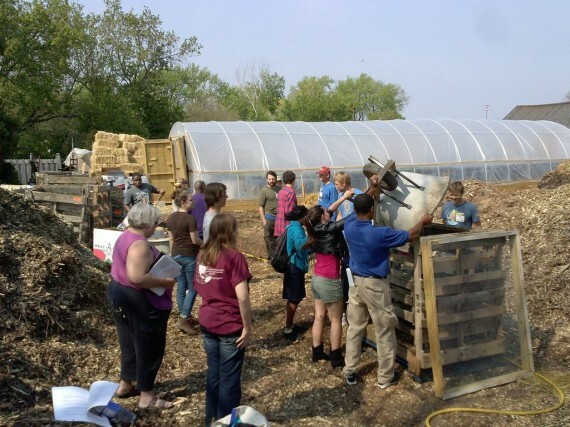 RE: If people engaged in urban agriculture and the folks around the country who are working along your model are not yet reliably making big profits, what is it about urban farming that keeps people inspired and engaged? WA: Well, I think a lot of people believe in the mission. Especially young people—for the first time about 70 percent of the people who are involved and wanting to change the food system are under 40 years of age. Before it was crusty old farmers like myself, and those studying the food system from the universities. But now it’s young people who want to come back to their communities and fix them. So this is not a fad or something that’s gonna go away. This is something that people are deeply committed to: a movement that’s now turned into a revolution. 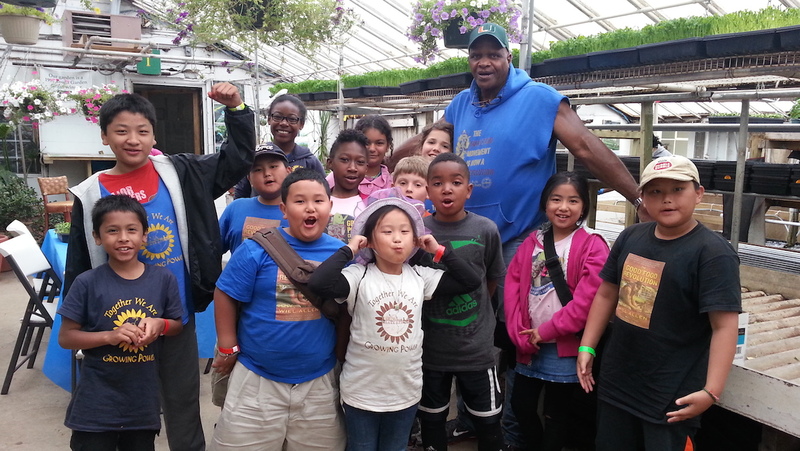 Will Allen is founder of Milwaukee-based Growing Power, Inc., and innovator in urban agriculture.